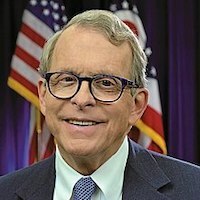 Newly elected Governor Mike DeWine already has signaled further commitment to increase his state’s employment for people with disabilities. Shortly after being sworn into office, he signed 6 executives orders with one of specific relevance to advancing opportunities for Ohioans with disabilities. Executive Order 2019-03D establishes Ohio as a Disability Inclusion State and Model Employer of Individuals with Disabilities. This commits the Buckeye State’s government to broaden inclusion efforts across the state and to hire more people with disabilities for jobs in state government. Gov. DeWine also has released his budget blueprint for 2020 and 2021 that proposed a plan for The Ohio Department of Developmental Disabilities to receive a major budget increase. These funds will directly support the opportunities of the state agency specifically tasked with providing employment supports for job seekers with disabilities. Opportunities for Ohioans with Disabilities (OOD) coordinates policies and provides service for people with disabilities who want to work by connecting them with quality employment, securing supports to live independently and coordinating disability determination outcomes. Ohio also provides support to secure financial independence for more and more people with disabilities nationwide. Back in 2014, the federal government passed the Achieving a Better Life Experience, known as the ABLE Act which created a legal framework for people with disabilities, acquired before age 26, to start tax-free savings accounts. Ohio, through their STABLE Account program, allows anyone in the country to open an account in Ohio. Ohio is also home to a transformative model of competitive, integrated employment that is enabling thousands of youth with disabilities earn an income and become independent. From its humble origins in the emergency room of Cincinnati Children’s Hospital, Project SEARCH has become a global enterprise dedicated to empowering youth with intellectual and developmental disabilities. From Ohio, SEARCH now serves communities and employers in 46 states as well as the U.K, the EU and Canada. Locally, in May 2018, Mercy Health-St. Rita’s graduated its fifth consecutive class of Project SEARCH interns. What makes this program special? “They’re learning job skills and gaining experiences and the whole end goal is to get a job,” said Leigh Taylor, Project Search instructor and coordinator. Five out of the six 2018 graduated already have jobs thanks to the skills they have learned.